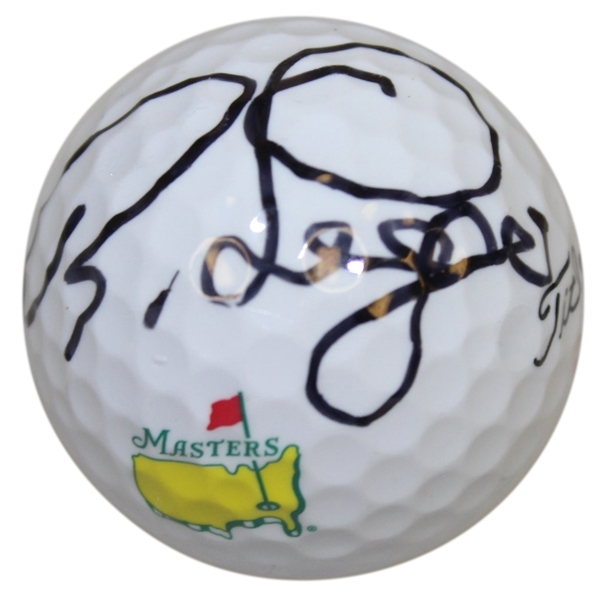 Offered here is a Bernhard Langer signed Masters Tournament logo golf ball. 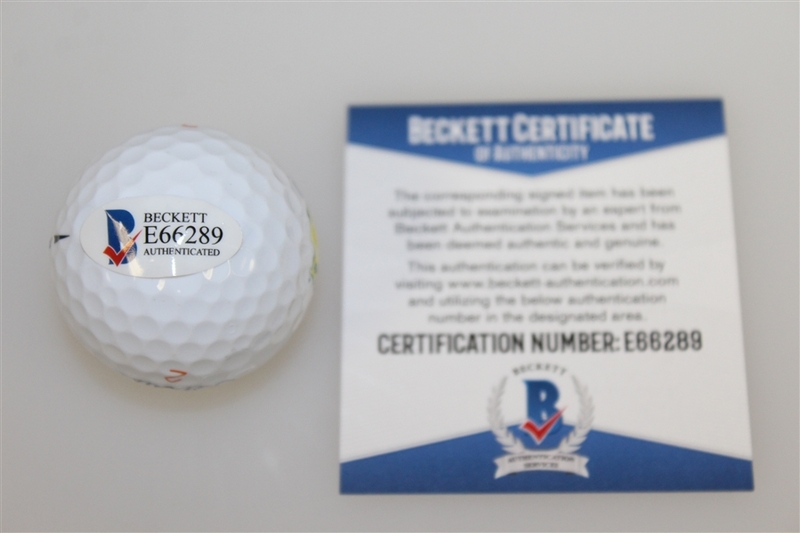 His signature comes with Beckett authenticity #E66289. Bernhard Langer accumulated over 100 professional wins in his career, his only two Majors coming at Augusta National - The Masters Tournament in 1985 and 1993.